With 1,700 miles of shoreline, Cambridge, Maryland is the perfect place to plan an Eastern Shore getaway. We offer a variety of vacation rentals in Cambridge including cottages and houses for rent. Many of our rentals are waterfront and feature a private pier where you can relax and take in the beautiful wide water views. Cambridge offers countless things to do including local dining and shopping, as well as exploring the Blackwater National Refuge. 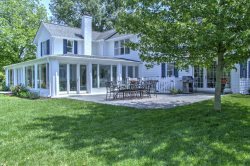 Browse our current vacation rentals in Cambridge, Maryland below. Please note prices below per night, based on the summer weekly price for seven nights and are given as a range to assist you with choosing a property. Nightly prices vary per season and per number of nights booked. For an exact quote, please input your dates on the property page.